Now mummy and daddy can enjoy a good meal anywhere! From Sack to baby seat in seconds! · The practical, portable seating solution for kids. 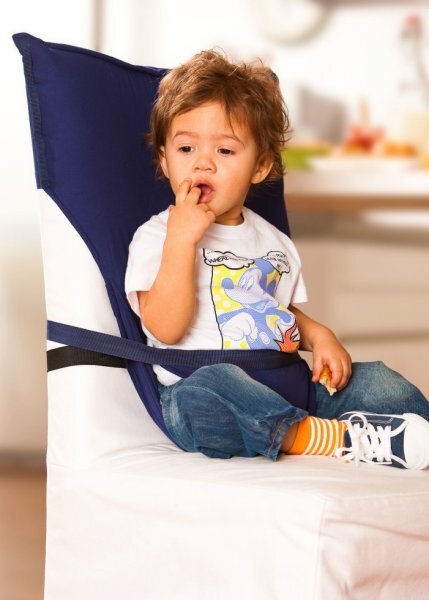 · Grab this handy Sack n Seat portable baby seat. · Choice of snazzy colours: red, blue, coffee, red and green. · Dimensions: 70cm long and 58 cm wide. The Sack'n Seat Simply unravel from the self contained pouch and attach to any chair in seconds!